QUIZ: How well do you remember these iconic Oscars moments? Oscars season is upon us, so this is a perfect time to test your knowledge of famous Academy Awards moments. There’s nothing quite like the tension and drama of the Oscars. Hollywood’s biggest stars will gather in one room to celebrate the year’s best films and performances in the early hours of Monday, February 25. The good news is that you can watch this year’s ceremony live on NOW TV from 1am on Monday. Everyone loves the Academy Awards for its sheer star wattage, the water cooler moments and the unpredictability of the speeches. Then there’s the gaffes, the laughs and the inevitable surprises. We all have our favourite Oscars moments or memories. Who could forget when the people from La La Land were told that they had won best picture… then told that they hadn’t. And then there was the time that Bjork laid an egg on the red carpet (Really, that was a thing). You can watch the Academy Awards live on NOW TV when you pick up a two-month Sky Cinema Pass for the special price of just €10. A NOW TV Sky Cinema Pass will also allow you to stream over 1000 movies, including all the best and latest films. 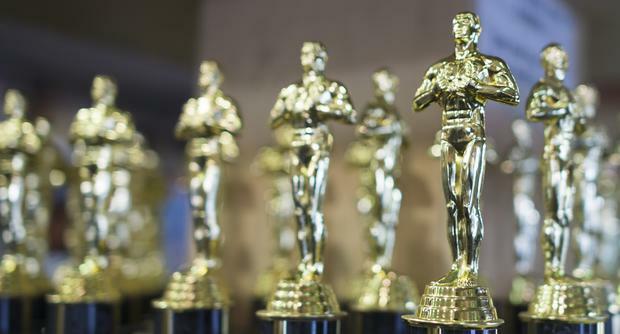 To get you in the mood for this year’s Oscars, the below quiz will test your knowledge of the Academy Awards’ most iconic moments. Good luck! Your host for the Oscars. Stream the Academy Awards live on NOW TV. Grab a two-month Sky Cinema Pass for just €10.